Rin Braden is almost ready to give up on life after the heartbreaking death of her lover Yamaan and the everyday dread of working for her mother's corrupt private prison company. But through a miracle Yamaan has survived. Yamaan turns up in an immigration detention facility in Australia, trading his labour for a supposedly safe place to live. This is no ordinary facility, it's Eaglehawk MTC, a manufactory built by her mother's company to exploit the flood of environmental refugees. Now Rin must find a way to free Yamaan before the ghosts of her past and a string of bad choices catch up with them both. 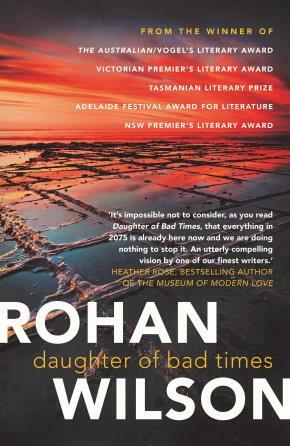 In its vision of the future, Daughter of Bad Times explores the truth about a growing inhumanity, as profit becomes the priority.